A never-before-seen 70-minute interview of Steve Jobs will be shown in theaters soon, Redmond Pie has learned. The news comes from Cult of Mac – a blog dedicated to covering all things Apple – in a post in which they discuss LA Times’ report, Steve Jobs unaired interview and when said interview will be seen in theatres. The interview was conducted by Robert Cringely for his 1996 documentary Triumph of the Nerds: The Rise of Accidental Empires related to the rise of personal computers between 1970s and 1990s. The interview was about 70 minutes long but only 10 minutes of it made it to the final version of the documentary. Later, for the sequel titled Nerds 2.0.1: A Brief History of the Internet, Robert Cringely was looking for the unused part of the interview but couldn’t find it… until it was discovered just recently in the form of a VHS tape that had been sitting in the cupboard collecting dust over the past decade. The VHS tape was sent to Landmark and they decided to show it in their theatres. 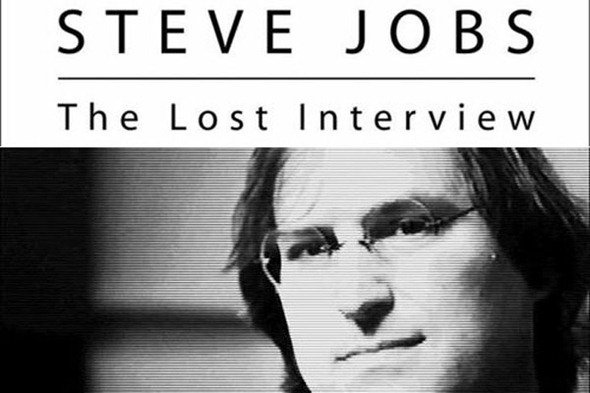 The movie, “Steve Jobs: The Lost Interview,” is from a conversation Jobs conducted with Robert Cringely for the author and producer’s 1996 miniseries “Triumph of the Nerds: The Rise of Accidental Empires” about the origins of the personal computer industry and the emergence of Silicon Valley as a technology hub. Although Jobs gave a 70-minute interview to Cringely, only 10 minutes of it were used in the finished product. When Cringely was making the sequel “Nerds 2.0.1: A Brief History of the Internet,” he went looking for the rest of the Jobs interview, but the footage had vanished. The 70 minute interview will be released in the form of a documentary in Landmark theatres across 19 cities in USA on November 16th. Keep in mind that there is a major feature film reportedly in the works based on Steve Jobs by Walter Isaacson which was released on about two weeks ago on October 24th and is expected to become this year’s best-selling book.